Have you read the wonderful story of Misty of Chincoteague, a real wild pony? Millions of children have read her story and go to the island where Paul and Maureen raised her. 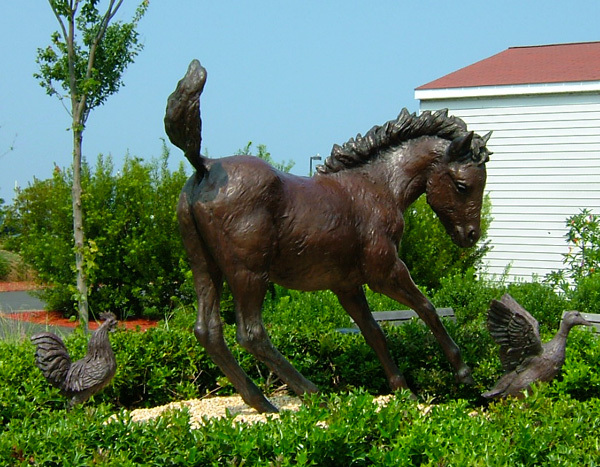 For children like you, the Misty of Chincoteague Foundation had a bronze statue of Misty created. The sculptor, Brian Maughan, spent almost a year watching Chincoteague ponies and creating the statue. You can see this statue and have your picture taken beside it on Chincoteague Island. Why do you think so many children love horses? You can read about ponies on Wikipedia, a free online encyclopedia. You click the colored words, called links, to open another web page. When you click on a link,Wikipedia jumps to a new web page that tells more about that topic. You can use the “back button” on your browser to go back to the page you were reading. 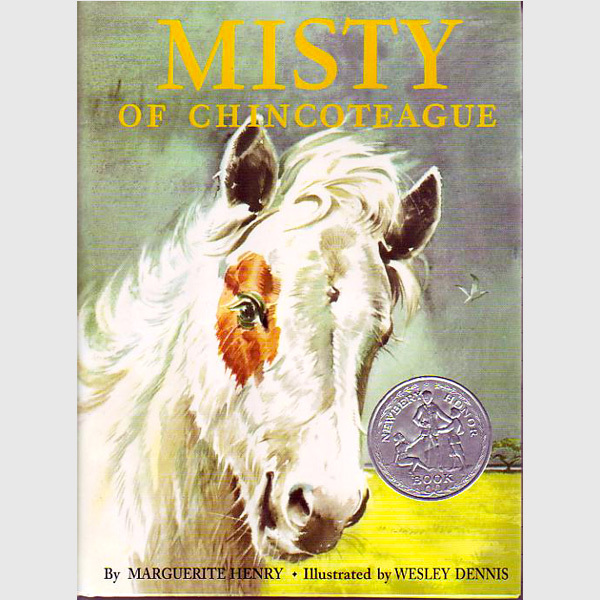 Wikipedia has an article about the book, Misty of Chincoteague. Regular people write the articles in Wikipedia, not paid authors and editors, so sometimes its articles have errors. If you were writing an article in Wikipedia, which words about Misty would you turn into links? You can also find out more about horses, including breeds around the world, at the Kentucky Horse Park site for kids. This Park has a bronze statue of Misty and other famous horses that you can see when you visit. Misty was a real pony born on Assateague, an island off the shore of Virginia in the Atlantic Ocean. 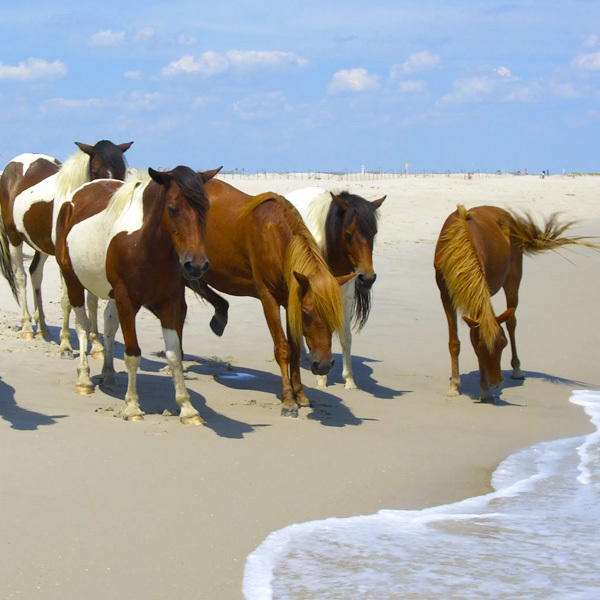 All the ponies on Assateague are small because their ancestors come from ponies in a part of Europe that are small. 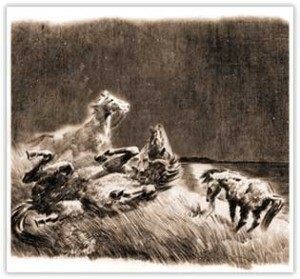 The ponies eat salty grass on the windy island, and there isn’t much shelter. In the Misty book, you will read a legend about how ponies came to America hundreds of years ago when a ship is wrecked and the ponies swim to shore. The ponies run wild on the island and have for hundreds of years. What do you think it is like for the ponies to live on a flat, sandy island where the wind blows hard enough to crash ships? What do you think it was like for the stallion, the male pony who wants to protect his mares, to be locked up below the deck of a ship when he smells the storm? Paul, a boy who lived on Chincoteague Island with his sister and grandparents, captured Misty and her mother, the Phantom. He was on his first ride with the men who rounded up wild ponies once a year. Paul and his sister Maureen helped their grandfather raise these ponies. But they wanted a pony of their own. Would Paul and Maureen make the winning bid for a pony at the auction on their island? You can find out what happens by reading the exciting book, Misty of Chincoteague. Have you ever ridden a pony? Do you remember what it felt like to be up high on the pony’s back? 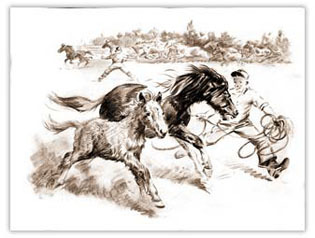 Imagine the pony is running fast and you are an expert rider on her back, chasing the wild pony mare and her baby, called a foal, and they plunge into the ocean. The little foal is in danger and you jump in the water to save her. That’s what really happened for Paul, not just in the story; but in real life. You can see a find a DVD version of this story about Paul, Maureen and the ponies. You can make your own YouTube video and upload it to share. Several kids have made Misty story videos. You can keep a journal of your thoughts while reading the story, then plan and shoot a video. 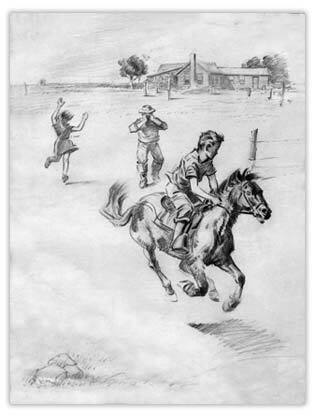 In the Misty story, Paul and Maureen want something very much (to earn enough money to buy a pony), and they work hard to get their wish. Have you ever worked hard to get something you want? Have you had experiences with animals that you’d like to share? What challenges did Paul and Maureen face? Were your experiences similar to theirs, like when the pony they wanted so much was sold to someone else? You can write about these experiences, illustrate them with your own pictures, and talk with friends about them. You can also put on a play that shows your story. This video to the right was made by students. 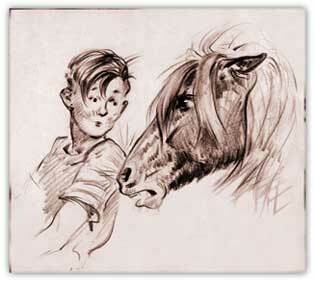 Many children (and grown-ups, too) dream of having a Misty Pony of their own, Some people have a pasture, a barn and time to take care of a pony, and actually get a pony of their own like Misty. This girl shows photos of her Misty Pony growing up. And arrive on Chincoteague Island. After you read the story of Misty, you might like to study the “story structure” used by Marguerite Henry and other famous authors. Knowing this structure can help you understand literature and write stories of your own. Have you heard of the American Girl books about historic characters? These stories about brave girls at key points in American history use the same story structure as the Misty story. In the books about Kaya and Felicity, horses play an important part! Like the American Girl stories, the Misty story is based on real life, but includes made-up story elements to achieve an exciting story structure. You can make up parts of your stories to add excitement, too. After all, this is fiction writing, even if it’s based on real life. You can think about any story in steps. You know that a story has a beginning, a middle and an end, but did you know there is a 5-step story structure people have used for thousands of years that can help you understand great literature, and make stories you write exciting? Who are the characters? Where does the story begin? What’s going on? What’s the main problem? What obstacle does the hero face? This is sometimes called the exposition. In Misty of Chincoteague, the situation is this: Paul and Maureen are fascinated by having wild ponies living on an island near their grandfather’s ranch, where they can see them and hear them. They have helped raise and train these ponies before they are sold, but they have no pony of their own. How does the story build? What complications come up for the main characters? Can you tell what the rising action is for the Misty story? What is the most dramatic, exciting part of the story, the part where the hero shows his or her strength? This is the turning point. What is the climax for the Misty story? Do you think Marguerite Henry planned ahead carefully so this story would be exciting for you? You can start your story by thinking of the climax, then building up to it. What would be exciting to your readers? Remember that Marguerite Henry and other authors did a lot of research to make their stories realistic, so you might need to do some research for your story to make the climax believable. How do things work out for the main characters? How do they change as a result of what happened? How does the difficulty unravel? What is the falling action for the Misty of Chincoteague story? What will be the falling action for your story? Don’t forget to wind up all the loose ends of the plot so people reading your story know what happened to the people (or animals!) they’ve come to care about in your story. What is the solution to the problem you wrote about in the first step? How are things better or worse for the hero? Sometimes this is called the denouement or resolution. What was the solution in the Misty story? 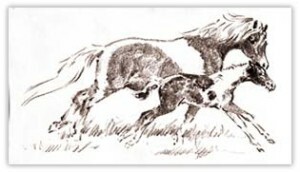 Sometimes there are stories within stories, so there is the ending of the story of Misty’s mother (she swims back to Assateague to be with the stallion who is neighing to her), and an ending to the whole book. You can tell stories within stories, too. What is the solution to the big problem in the Misty story? 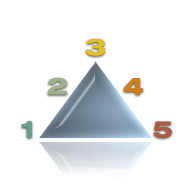 Can you think of simple words that describe these 5 steps happening in the Misty story? Draw an upside-down “V” and write 1, 2, 3, 4, 5 up one side and down the other, then write the key words for the five parts of the Misty story by each number. You can use this way of summarizing stories all the way through school, even in college. 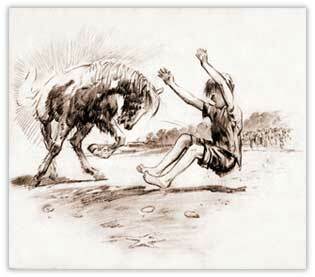 What captions would you give the illustrations from the Misty story? You can print them, label the captions and color them if you like. You can even arrange the illustrations in an “upside down V” on the wall to show the story structure. 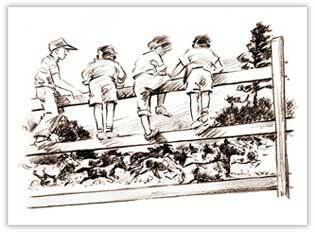 These 5 steps in story structure show up in many classic tales. The best English writer of all time, Shakespeare, used these steps in his plays, and so did authors of Greek plays. Television writers learn these 5 steps, too. Your story writing will get a lot better if you use this structure. You can watch for these 5 steps in almost any good story you read., too.